Shots were fired at the German ambassador’s residence in Athens early on Monday, without causing injury. Bullets were found embedded in the steel gate, Greece’s Kathimerini news website reports. Ambassador Wolfgang Dold’s residence is in the Greek capital’s Halandri district. The raid took place at around 03:30 local time (01:30 GMT). It is not clear who the attackers were. Germany’s insistence on budget cuts has caused much resentment in Greece. 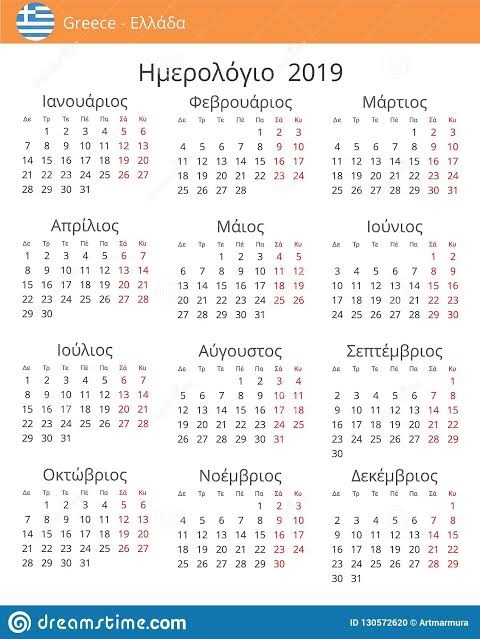 Author GREEK WORLD MEDIAPosted on December 28, 2013 December 28, 2013 Categories GREECELeave a comment on ΧΑΜΟΣ ΣΤΟ ΑΙΓΑΙΟ! Αερομαχία Ελλήνων με Τούρκων – Τρόμαξαν οι Τούρκοι χειριστές από το “LOCK”!!! CHINESE technology and communication solutions giant Huawei has inaugurated a pilot distribution centre in the Greek Port of Piraeus, Xinhua reports. The official opening of the distribution centre was held at the premises of Cosco’s subsidiary Piraeus Container Terminal (PCT). From now on, Huawei, a leading global provider of technology and communications, serving a third of the world’s population in 140 countries, will be distributing its products in Europe through Greece. “The Huawei distribution centre strengthens Piraeus and Greece’s position on the global transportation map,” said Greek Development and Competitiveness Minister Kostis Hatzidakis. The investment is regarded as a “confidence vote in Greece by a robust multinational company,” Mr Hatzidakis said. Shipping Minister Miltiadis Varvitsiotis said that the Greek government wants Pireaus to become the number one port and logistics centre in the Mediterranean. “Until now our partnership with Cosco has been an example of how serious partners can make a big dreams come true. We are fully committed to exploiting and increasing our cooperation,” he said. Mr Varvitsiotis said Greece is changing and the ports of Greece are becoming the new gates of European continent and EU market. China’s ambassador to Greece Du Qiwen as well as Huawei Technologies country manager Zhou Jun and PCT chief executive Fu Chengqiu also attended the ceremony. At Sunday Mass, children point to the freshly painted ceiling. They crane their necks at the larger-than-life icon of Jesus Christ, offering a blessing with his right hand and holding the gospels in his left, on the colorful sanctuary dome. This enthusiasm warms the heart of Matt Jenetopoulos, 86, a founding member of St. Mark Greek Orthodox Church. One of the goals of the church’s decade-long iconography project, after all, is to connect children to their faith. After 15 years of planning and 10 years of painting, the church’s $2 million endeavor to fill the sanctuary with Byzantine-style portraits of the saints, ranging from John the Baptist to Herman of Alaska, is scheduled to be completed in February. For many of those years, the sanctuary has been filled with scaffolding, paint cloths and unfinished sketches, as an artist decorated the walls, the dome and almost every crevice with vivid portrayals of the Bible’s stories. The Greek Orthodox Church has a rich history of painted icons, or depictions of readily recognized faces and symbols of the Bible. The icons have consistent facial expressions, symbols and colors, including gold as a representation of heaven, blue for human beings and red for divinity. The icons and architecture are similar in all Eastern Orthodox churches, including Russian, Serbian and Polish. Orthodoxy split off from Roman Catholicism in 1054 during the Great Schism, when Pope Leo IX excommunicated the Patriarch of Constantinople because of several disputes, including conflicts over papal supremacy and the Nicene Creed. Artist Laurence Manos of New Jersey was chosen to paint the St. Mark sanctuary for his skills in the classical Byzantine style and lively use of color, Jenetopoulos said. Manos studied the intricacies of iconography in Greece, where he lived for 15 years, including time at Mount Athos, an Orthodox spiritual center on a peninsula filled with 20 monasteries. He came back to the United States in 1986 and began painting Greek churches throughout the country, including sanctuaries in Savannah, Ga., Holmdel, N.J., and Detroit. Pat Sourlis of Boca Raton, chair of the February weekend when the sanctuary will be consecrated, begins to tear up as she describes the painting of the icons. Latin and Greek GCSEs have lost much of their “intellectual force” and should be replaced by tougher new O-level-style exams, say campaigners. Students who take the subjects at Oxford receive lessons in basic grammar and syntax because their school education has been so lacking, according to the Parliament Street report. Too often, the report argues, the school syllabus is closer to studying classical civilisation than the language. The pamphlet also argues that Latin should be a core part of the curriculum – rather than the preserve of independent and selective state grammar schools, “There is a substantial body of evidence that children who study Latin outperform their peers when it comes to reading, reading comprehension and vocabulary,” pamphlet author, John N Davie, said. Only 13 per cent of state secondary schools in the UK offer Latin. For more than 40 years, nearly every Greek wedding, funeral and baptism in Birmingham included music chanted by Angelos Petelos. During that same time, nearly every Greek restaurant built in Birmingham was built by Petelos – from Niki’s West to Bright Star and the Fish Market – and he also oversaw the construction of the Colonial Chapel at American Village in Montevallo. “He was a worker, a doer, more than a talker,” said the Rev. Paul Costopoulos, dean of the Greek Orthodox Cathedral of Holy Trinity-Holy Cross. Petelos, born on the island of Samos, Greece in 1935, died on Dec. 4. He was 78. On construction sites, Petelos was known to turn over a five-gallon bucket, sit down, smoke a cigarette, and tell a story about his childhood in Greece, his service in the U.S. Army or his work as a pilot and as Alabama Wing commander for the Civil Air Patrol, a civilian auxiliary of the U.S. Air Force. He often led search and rescue efforts for downed planes. Petelos left Greece at 12. His father was in the Greek army, fighting the Nazis, was rescued by the British when his ship sank, then joined the U.S. Army. He sent for his wife and three surviving children including Angelos. One of the children had died of malnutrition. Petelos’ mother had five more children in America. They moved to Birmingham in 1950. When his father died in 1962, Angelos took over Petelos Construction Co. and provided for his younger siblings, ages 9-13. He liked telling stories and arguing about politics. Petelos could be a salty character at times. “He was by no means a saint; he liked partying, he would always smoke,” Costopoulos said. But the Greek Orthodox religious traditions were safe in his hands, and kept alive every Sunday morning. He rarely missed services. While preserving the Greek liturgy, Petelos helped the congregation move more toward singing and chanting in English. Petelos said his brother, who was married to wife Catherine for 52 years, was like a father to him. Despite protests from his carpenter, Angelos would hire many unskilled workers to help put them through college, Petelos said.